When the World Cup women check into New England Thanksgiving weekend it will mark a quarter of a century since the tour last stopped in the eastern US. Waterville Valley—the iconic New Hampshire resort founded by Olympian Tom Corcoran in 1966—was a regular tour venue throughout the 1980's and the last East Coast resort to host a World Cup in 1991 where American Julie Parisien won the GS. But in the inaugural 1969 World Cup event, Waterville Valley was the site of one of the most successful weekends in the history of the US women's Ski Team: Kiki Cutter, Judy Nagel, Marilyn Cochran and Karen Budge captured four of the six podiums. Fast forward forty-seven years and the current generation of US Ski Team women could turn another home-court advantage into their own historical footnote—this time in Killington, Vermont. 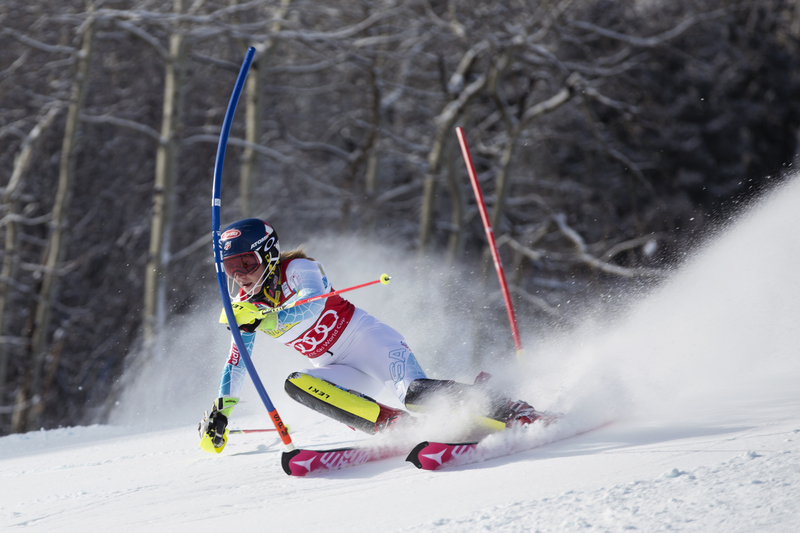 Among them, Mikaela Shiffrin has a solid chance for a rare double-podium win in both the GS on Saturday, November 26 and the slalom on Sunday, November 27. Killington is only the second Vermont resort to be chosen as a World Cup venue—its close neighbor, Stratton Mountain, was the first in 1978. 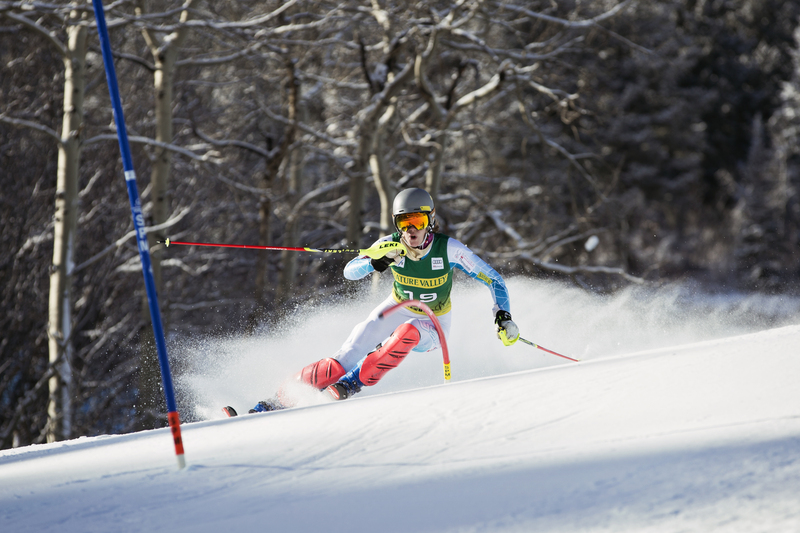 During this nearly four-decade span, three new generations of ski racers have come and gone. Looking back at that 1978 weekend, some of the most memorable names in ski racing have climbed a Vermont podium: Phil & Steve Mahre (USA), Ingemar Stenmark (SWE), Hanni Wenzel (AUS), and Fabiene Sarrat (FRA). But how do you prepare for a track that's never held any races? Though some World Cup venues do cycle from year to year, athletes are usually familiar with all the tracks on tour as well as the course sets at each stop having previously raced there at some level. This familiarity has the advantage of first-hand experience and, more importantly, local knowledge. That will not be the case when Killington makes its World Cup debut. Making this situation even more unusual is that Superstar, the run being readied for both the giant slalom and slalom, has never held any races—World Cup or otherwise. "I love skiing on unknown tracks, especially when it's a new experience for everyone." Said Lila Lapanja, who will make her eighth World Cup slalom start in Killington. "The mystery gives me a sense of adventure-feels like a fresh start to racing! Clean plate, even field, can't wait." Resi Stiegler is racing in both the GS and slalom and added this: "I'm excited for a new track as well—to see something different. I think it's going to be a really good weekend!" Read a local’s take on the impact of this weekend’s races. After a 25-year hiatus, a whole new generation of young rippers will have a chance to see their ski racing idols up close. Because there are no training runs for these events, Superstar will remain an unknown quantity until the first few racers cross the finish line and provide course reports back to the start house. Later bib numbers could benefit from this information as the personality of this new track begins to reveal itself. But countering that advantage could be the notorious New England weather, famous for changing every five minutes. Ted Sutton, Chief of Race for the World Cup at Killington, spoke with POWDER describing the track and the challenges racers will face. "Superstar is loaded with terrain [changes] and will prove to be a lot of work for the women. Course setters will have plenty of options to set gates that test racer's technique and athleticism." In both the GS and slalom sets, racers will exit the start house and dropping onto a forty-five percent pitch, which then transitions into a long, straight middle section. "Racer's will carry good speed into this section," said Sutton. "The pitch isn't quite as steep here but there are a lot of rolls built into the surface that keep coming at you for about half the length of the course." Clearly, this is the section to watch as an athlete's endurance, balance, and touch will be tested here. The lower section of the course has a short side hill pitch rolling to the racer's right where the women will continue to carry speed all the way to the finish. Awaiting the American World Cup women in the finish arena will be thousands of cheering US fans, and friends and family hoping to cap-off a traditional New England Thanksgiving weekend with red, white, and blue standing on the podium.